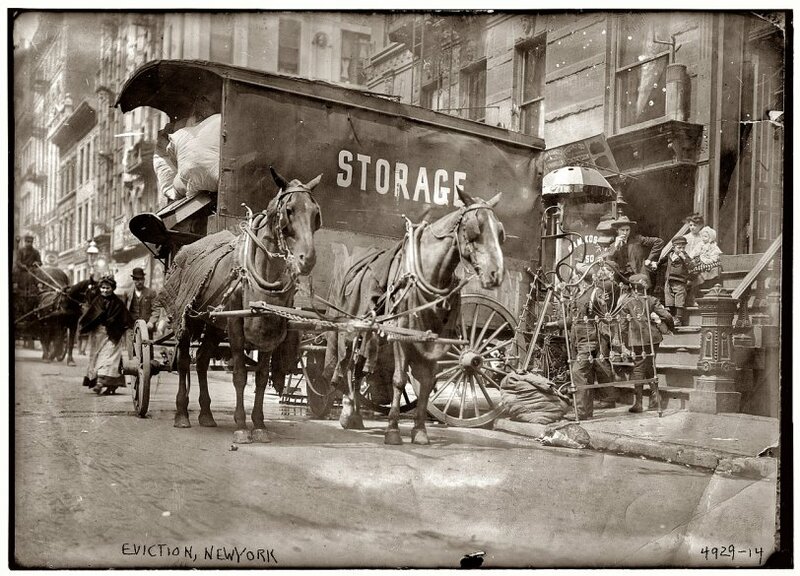 Moving van at an apartment eviction in New York circa 1908. View full size. 5x7 glass negative, George Grantham Bain Collection. Submitted by Dave on Mon, 07/30/2007 - 8:24pm. Yes, I think it's one of those New York raccoons! 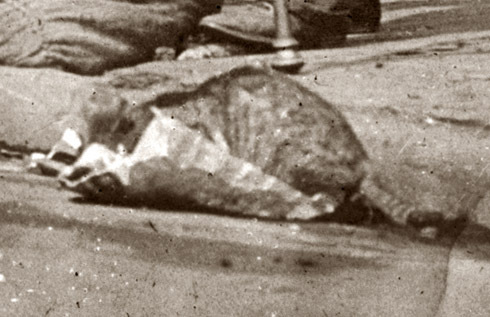 Raccoon, Rat or a Cat?? Submitted by NitroChic on Mon, 07/30/2007 - 8:09pm. What is that in the gutter? Looked like a raccoon at first glance...maybe a cat? Submitted by Dave on Sun, 07/29/2007 - 5:09pm. Maybe to a better apartment. I think they were involved in a rent strike that was in the news that year in New York. Submitted by Fred Klein on Sun, 07/29/2007 - 5:03pm. I wonder where these poor people went on eviction day? Submitted by P.L. Frederick on Sun, 07/29/2007 - 1:12pm. Wow, this photo is rich with stories—from the patient horses to the anxious family sitting on the steps to the woman walking in the street towards the camera. Personal possessions, loss of home, daily city life. Thanks for sharing it with the world!